The Kitchen | Thanks for the Oysters, Ben! Because of the passion, dedication, and hard work of our staff, The Kitchen is what it is. Ben Crowley, who also works for our sister restaurants Selland’s, OBO’, and Ella, is a special member of our team, and his work is essential to The Kitchen experience. You see, Ben brings us the Hog Island Oysters! 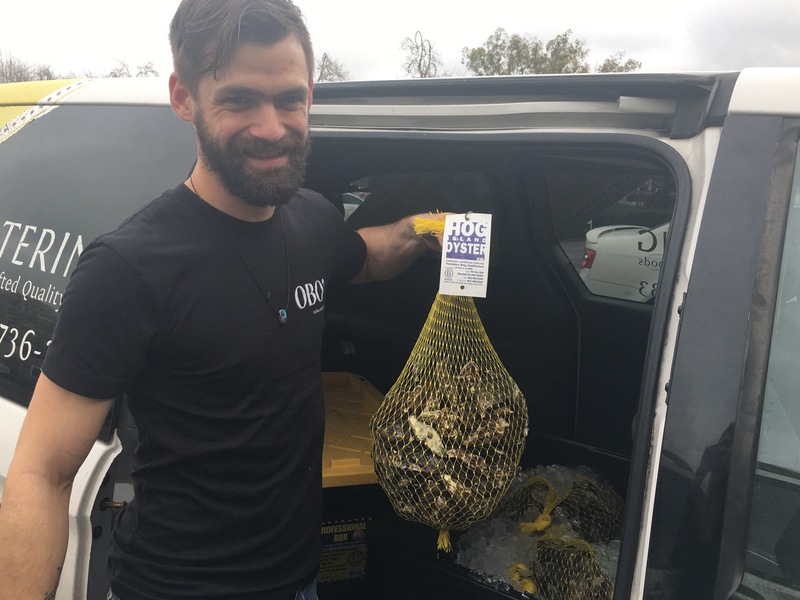 Every week, he travels over to the Napa Oxbow Market outpost of the inimitable Hog Island Oyster Company, which is based in Tomales Bay in Northern California. They hand-raise their oysters at their farm in Marshall, where you can go visit and select and eat your oysters in a picnic-like setting right on the bay. With some crusty bread and a craft beer or glass of crisp white wine, the oysters, and the experience, are perfection. 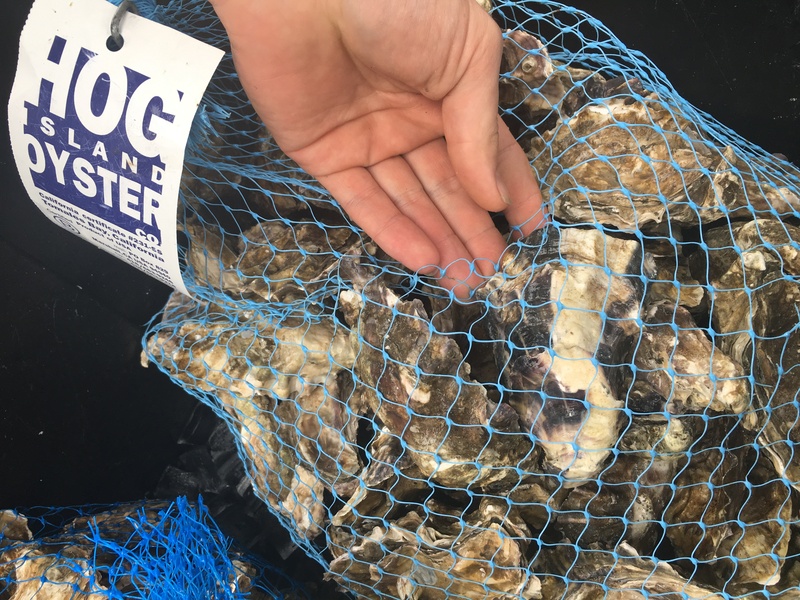 Hog Island doesn’t deliver to Sacramento restaurants, so we make the extra effort and the trip to go out of our way to pick up the best and freshest oysters just for you. Ben leaves Sacramento at 7:30am every Tuesday to get over to the Napa outpost, where he meets the Hog Island delivery driver and loads up the van. He brings home enough oysters for us at The Kitchen, and more for our sister restaurant Ella Dining Room and Bar. He usually picks up about 9-12 bags, each containing about 10 dozen oysters. On a recent Tuesday, Ben’s haul included Cold Creeks, Northwest Pacifics, and the lovely mid-sized Sweetwaters, which are our favorites and the ones you can find during our “Intermission Course” at The Kitchen. Few foods carry the taste of place as well as an oyster. And with these beauties, you feel like you really are tasting them right out of the water, getting a taste of their,”merroir,” as oyster lovers like to say. 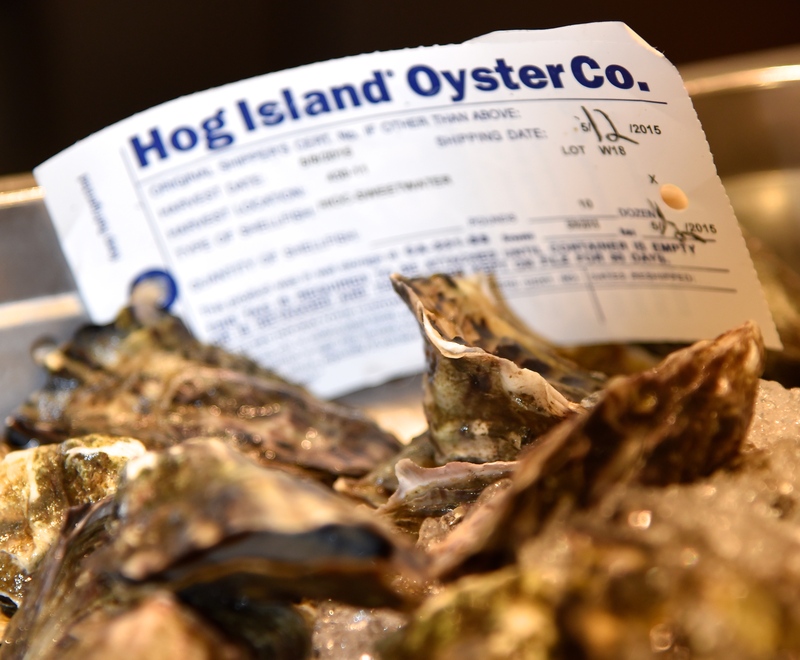 Be sure to enjoy these Hog Island Oysters, lovingly delivered for you, when you visit us at The Kitchen. Say “Hi” to Ben if you see him on his weekly trips to the farmers market, where he also shops for local produce for our restaurants. And if you can swing it, don’t miss taking a trip to the Hog Island Oyster Farm in Tomales Bay. Tell ‘em Ben from The Kitchen sent you!